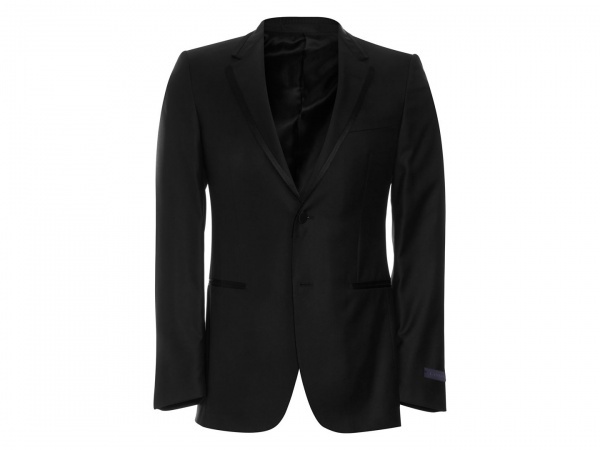 Lanvin updates the modern black tie look with this gorgeous raw edge dinner jacket. A black wool blend, two button, notched lapel design, this jacket is lined partially in silk, producing a great dinner jacket made for warm evenings. Available online now. This entry was posted in Black Tie, Blazers, Tops. Bookmark the permalink.